Mac OS X Yosemite 10.10.2 (Build: 14C109) is currently officially available for Macintosh based PCs and Laptops only by Apple, And if you're genuine user of Microsoft Windows operating system running on Intel Processors including Haswell + LGA 2011 X99, HP Processors and AMD Machines with Insyde Bios, then you can Download and Install Hackintosh OS X Yosemite 10.10.2 on Windows PCs / Laptops as Dual Boot to explore functionalities and features of latest Mac OS X Yosemite 10.10.x. 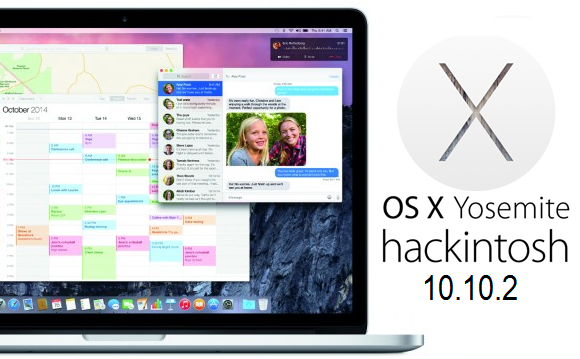 The Direct Download Link of OS X Yosemite 10.10.2 Hackintosh is available below. How to Download Hackintosh OS X 10.10.2 Yosemite on PCs, Laptops? How to Install Hackintosh OS X 10.10.2 Yosemite on PCs, Laptops Manually?